I have recently partnered with Delivered Care Medical to review some products that they offer. So far, I have tested out one item, the CEP dynamic+ low cut run socks. I picked which socks I wanted based on their color and didn’t realize I had picked one of the men’s socks. My contact at Delivered Care Medical did inform me of this before placing my order. I was slightly worried that they wouldn’t be able to do their thing and work the way they were supposed to. 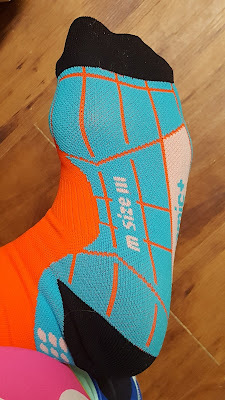 Once I received my CEP dynamic+ low cut run socks in blue and orange, men’s size 3 I immediately loved the way they looked. I’m so superficial when it comes to clothing. I first pick by look, then by function. Haha! I received the socks on a Friday and had a long run planned that weekend. 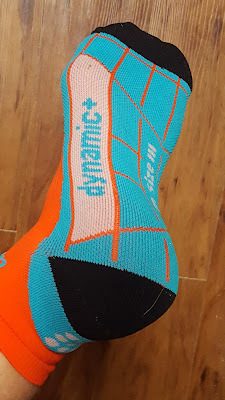 So, Sunday morning, I got ready for my run as usual and pulled out my new CEP dynamic+ low cut run socks and slipped them on. 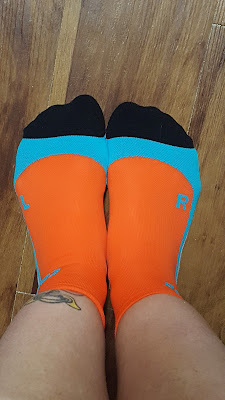 First thing the OCD queen inside of me noticed was that the socks are labeled “L” and “R.” So in love with them at this moment, not even joking. I then slipped them on and oh wow. It was like my feet were being hugged! The socks are compression socks and are targeted toward runners and triathletes and all other endurance sports. The low cut run socks are new to the lineup at CEP. They have a universal intermediate length that is suitable for many sports. Some people don’t like the super low cut sock and some don’t like their socks sticking up super noticeably up over their ankle. This length is perfect for the person that likes their socks just above the tops of their shoes. The CEP dynamic+ low cut run socks feature a wrap-around foot section and functional padding for maximum comfort. And I can attest to this wholeheartedly. My feet NEVER got tired during my run. Never. 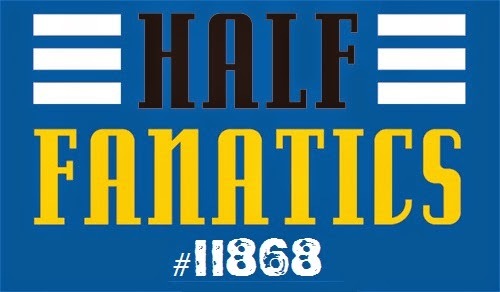 They still felt fresh and like I could have run another 8 miles beyond the 8 I ran that day. The compression attribute of these socks helped increase circulation to my feet while I ran, helping to keep foot fatigue at bay. And if you’re a runner, then you know that how your feet feel affect how your legs and the rest of your body feel and let me tell you, the rest of me still felt great at the end of my run. The breathable and moisture-wicking fabric provides excellent heat and moisture management for dry and comfortable feet. Yes. Yes. Yes. I went on a second run in these socks today. 10 miles this time. It is a humid, humid beginning of summer here in central Texas. At the end of my 10 mile run, I was literally soaked EVERYWHERE…everywhere except my feet. My feet were dry and comfy and did not smell one bit. I love these socks and will happily buy more pairs with my own money from Delivered Care Medical. If you’re interested in checking them out for yourself, or any of their many other health and medical products that they offer, you can simply go to Delivered Care Medical to place your order. 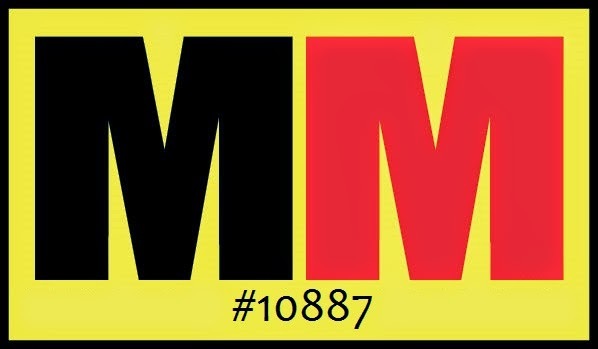 You can also contact them by phone at 1-888-406-7978 ext 2, 10am-4pm CST.